A security researcher has publicly disclosed an unpatched zero-day vulnerability in all supported versions of Microsoft Windows operating system (including server editions) after the company failed to patch a responsibly disclosed bug within the 120-days deadline. Discovered by Lucas Leong of the Trend Micro Security Research team, the zero-day vulnerability resides in Microsoft Jet Database Engine that could allow an attacker to remotely execute malicious code on any vulnerable Windows computer. The Microsoft JET Database Engine, or simply JET (Joint Engine Technology), is a database engine integrated within several Microsoft products, including Microsoft Access and Visual Basic. According to the an advisory released by Zero Day Initiative (ZDI), the vulnerability is due to a problem with the management of indexes in the Jet database engine that, if exploited successfully, can cause an out-out-bounds memory write, leading to remote code execution. An attacker must convince a targeted user into opening a specially crafted JET database file in order to exploit this vulnerability and remotely execute malicious code on a targeted vulnerable Windows computer. "Crafted data in a database file can trigger a write past the end of an allocated buffer. An attacker can leverage this vulnerability to execute code under the context of the current process," Trend Micro's Zero Day Initiative wrote in its blog post. "Various applications use this database format. An attacker using this would be able to execute code at the level of the current process." According to the ZDI researchers, the vulnerability exists in all supported Windows versions, including Windows 10, Windows 8.1, Windows 7, and Windows Server Edition 2008 to 2016. 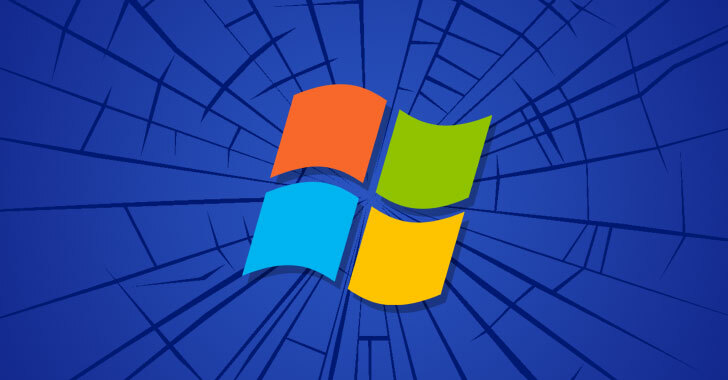 ZDI reported the vulnerability to Microsoft on May 8, and the tech giant confirmed the bug on 14 May, but failed to patch the vulnerability and release an update within a 120-day (4 months) deadline, making ZDI go public with the vulnerability details. Proof-of-concept exploit code for the vulnerability has also been published by the Trend Micro its GitHub page. Microsoft is working on a patch for the vulnerability, and since it was not included in September Patch Tuesday, you can expect the fix in Microsoft's October patch release. Trend Micro recommends all affected users to "restrict interaction with the application to trusted files," as a mitigation until Microsoft comes up with a patch.